Fr. Salvatore Scorza is the founder of the Apostles of the Interior Life (male and female branch) and of the lay movement “Collaborators of your Joy”. Fr. Salvatore was born in Zagarise (Italy) on December 9, 1926. Since he was a child he had a strong inclination towards noble and spiritual realities. He clearly felt that God was calling him to give himself totally to the Lord as a priest for the salvation of souls. When he was 14 years old he entered the Roman Minor Seminary and later the Roman Major Seminary. 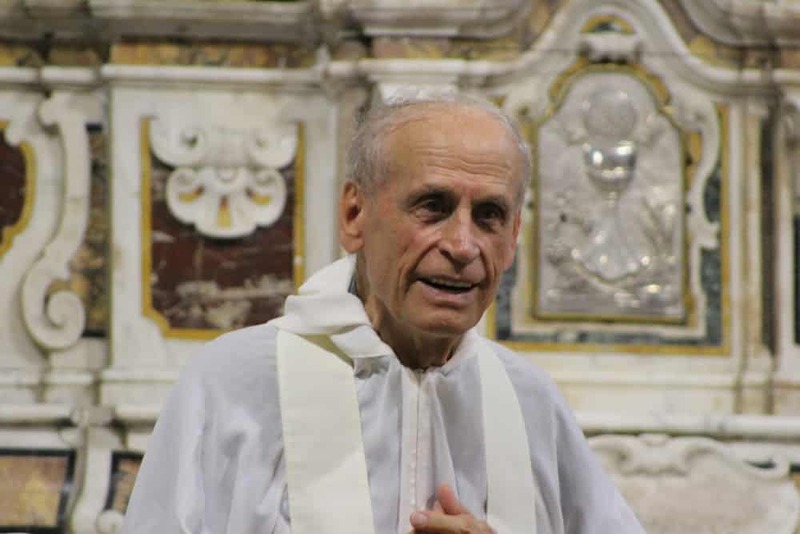 He was ordained a priest for the dioceses of Rome on March 29, 1952. 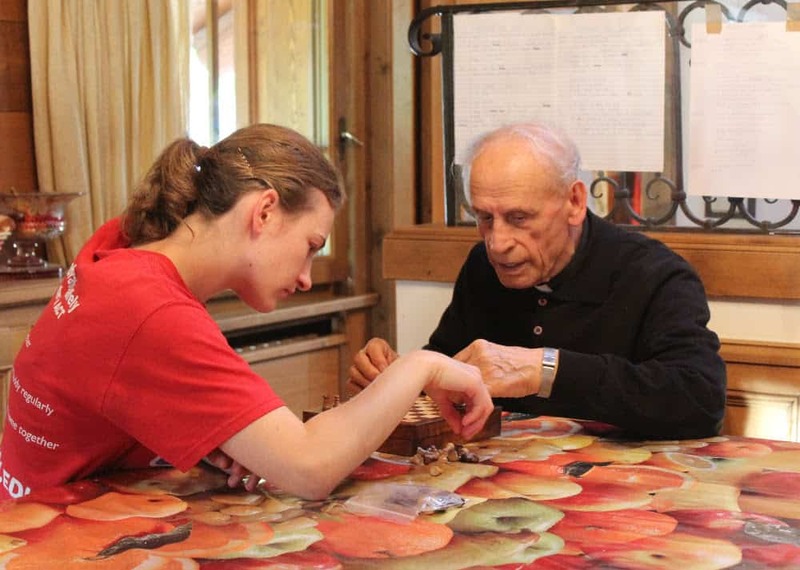 He faithfully served the Lord and His Church in several parishes and high-schools as a Theology teacher. 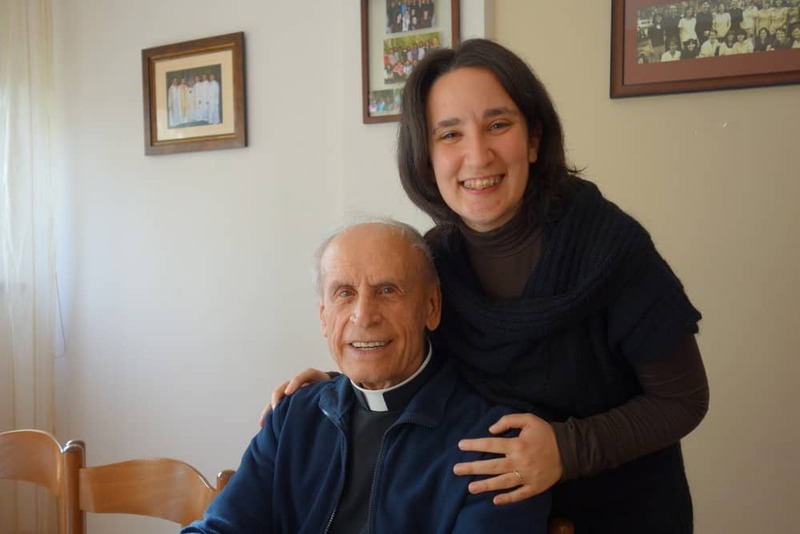 Since he was a young seminarian he saw the urgency of helping people to get to know “the Truth that sets the human being free” and to receive a complete human and spiritual formation. Can we be cold at the sight of someone that is starving because he/she does not have even a piece of bread to eat? The human being usually is moved at that sight and desires to do something so that that primary need of food can be satisfied. How can we be indifferent when people are spiritually starving and don’t have any reason to live? This thought constantly accompanied Salvatore in his youth. For this reason once he became a priest he dedicated a lot of his time to spiritual direction and to the “new evangelization”. In 1979 he received from his superior Cardinal Poletti the permission to spend two years in the States so that he could get to know the reality of the Catholic Church. In this occasion he got to know Susan Pieper in Napa, California, where he was ministering at St. John Catholic Church. That providential meeting with Susan, who at that time was a college student, was the beginning of the “new adventure” with the Lord : the foundation of the community of the Apostles of the Interior Life.